Awesome DTESS, Sven! Great colors! Chris, somehow you keep managing to raise the bar for yourself. You better hurry up and publish your own coffee table book of noir posters before I execute my expertly planned home invasion. I'm gassin' up the car right now, but the drive will take me a bit longer than when I was a Michigander. There is that pesky problem of needing a passport now, but I think I can bribe the border folks with coffee and some hot-off-the-rollers Timbits. Anyhow, very well done on both counts, guys! Ah impulse purchases...the best. Especially when they look like that! As Matt can attest, I have ALOT of crap. Sometimes you gotta buy alot of crap to get the few you really want. I was recently offered some older posters in a group which I grabbed, thinking a couple would tick off some holes in my newer collections. But no, the poster gods were smiling down on me that day. I ended up with a version I didn't even know existed in one sheet format! Needless to say you cannot wipe the smile off my face...Sorry for the long winded story, I had to share...the other half looked at me with a blank face when I called him over. Now the down side is, I still need to buy the frikken legs version! The moral of the story is that on the very rarest of occasions, buying crap pays off! Sorry for the crappy pic! Now onto another one I bought for my Aussie poster collection. I preface this by saying I haven't seen the film, I know not what it is about. Now I ask you, would you think they were for the same movie! Great stuff, Chris! Those lobbies are sweet! Prowl Car and Man in the Dark are most excellent! Very cool French, Sven! Robot, panicked people, and color combine to make a sensible impulse buy! 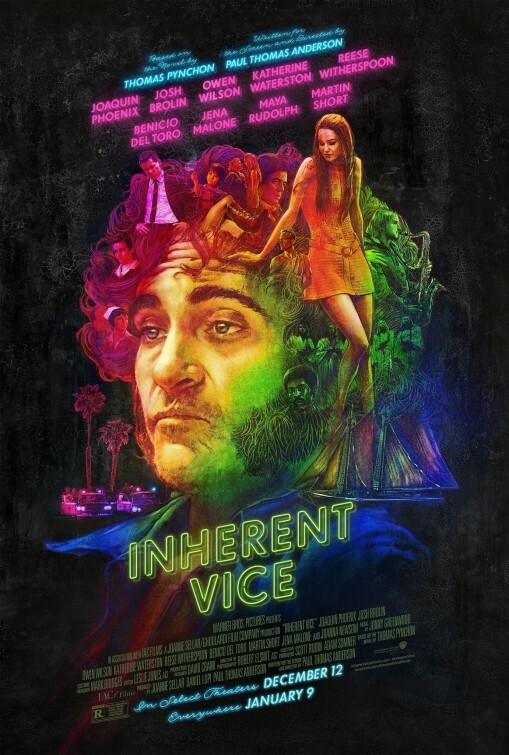 Ves-never heard of Inherent Vice, but nice designed poster! looks interesting. I had google Timbits; they look tasty! That's a cool inherent vice Ves! Never knew about that style. Love it Sven, great colours! Blackie looks awesomd Mark, Chester looks mean!! @collectahollic. Thanks Wil! Hey, what movie scene is your avatar from? Looks like it's from Manpower, but know it's not. 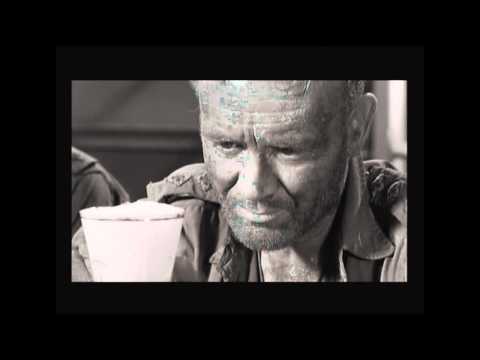 @Eisenhower it's the bar scene from one of my all time favourite John Mills movies "Ice Cold In Alex" mate.... "worth waiting for"
Huh....never heard of it-but after reading a bit online will have to take a look at it. Sounds interesting. Eng OS is nice! Daybill a bit more subdued, but still very nice. ....good acting & good scene. Will have to find it to watch soon. Ves, congratulations on the unexpected surprise! It's great when that happens! Here's the latest for me, which is still in transit somewhere. One more to add to the 3D poster collection. I'll just have to deal with the pesky snipe. I've been hunting for that OS for ages Mark, so please sing out if you spot one for sale! The UK Quad of just the ambulance heading through the desert is nigh on impossible to find. I'm guessing that the few Daybills that turn up are for NZ use? As I haven't seen one with an Aussie ratings decal intact, just the blank white space. I could be wrong though (very likely). You would have thought in New Zealand that to make the censorship rating removal less obvious, white wasn't the way to go. Any dark colour would have been better to have been applied to cover the rating over. The example provided is the one and only copy of the daybill I have seen. 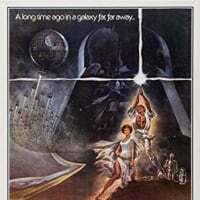 It would be interesting to see how other posters of this title were changed in New Zealand. Were they the same ? Love to see the Australian censorship intact daybill version someday. According to IMDB trivia - '' The love scene between Anson and Diana had to be re-shot after the British censor decided that Sylvia Syms had too many buttons undone on her blouse, revealing too much cleavage''. 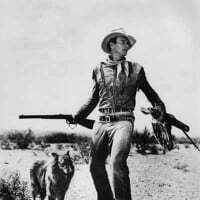 The film was originally released in the U.S.A. under the title of Desert Attack. 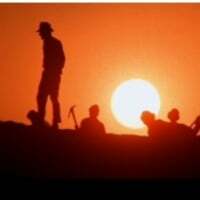 The 130 minute film was edited to 76 minutes for release there in 1961. Would you believe 54 minutes removed from the film. If anyone is seeking it out to view make sure that you locate the original full length British version. Ha! Have to say the UK one sheet wins it for me Ves, blonde hair & cleavage, versus John mills (although his likenesses is rather iffy on the DB) making out with a random red headed woman is an easy pick. Even the Quayle and Andrews portraits suffered somewhat in the redraw. The Daybill also appears to have the Ambulance driving though a farmers field of rich green grass rather than the North African desert. Fair point Ves, the original photo highlights artistic licence in both designs. Although they got a couple of aspects spot on. A question? Is the scene above the one appearing in the film, or it this image from the footage originally shot before, according to IMDB, this scene on the order of the censor, had to be re-shot for inclusion in the film? If by chance this is the re-shot material the mind boggles as to what the original scene would have looked like. @HONDO Good question Lawrence, to be honest I can't remember and feel I need to dig out the DVD to confirm either way. The above publicity shot is pretty close to the image used on the Lobby card and style B quad. So likely did make it to the final cut. Although I see what you mean. The original 'censored' scene must have been pretty graphic to consider the earlier shot acceptable. 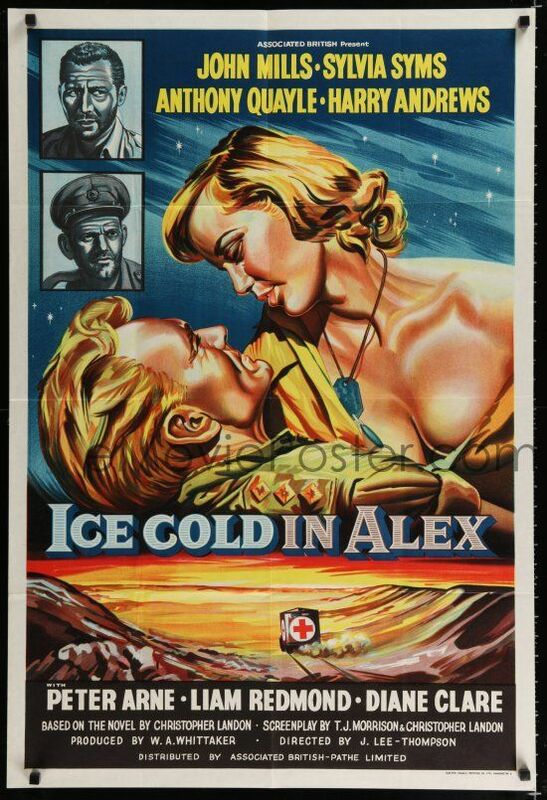 Pinterest says regarding this image - '' although this shot doesn't actually appear in ''Ice Cold In Alex'' Sylvia Syms is still pretty hot in the film. She has Johnnie Mills full attention''. It goes on to say- '' Sylvia Syms and John Mills in ''Ice Cold In Alex'', Dir, J. Lee Thompson. This scene was not included in the final film, as it was deemed too suggestive with too much cleavage. Sylvia Syms in a publicity photo from Ice Cold In Alex . The film censor decided that four buttons unfastened on her tunic was one too many and the scene had to be re-shot after filming was finished with only three buttons undone''. I had thought that this image wouldn't have been in the film as is was 1958 and not in the 1960's when this amount of cleavage was allowed. Lovely paper Chris that nourishes the noir soul Love them all but really drawn to Hitchhiker! An impulse buy never hurt anyone! This one is spectacular Sven. Congrats! Who is the printer on that Ice Cold daybill? "A Chromo Print"? Jeez, just when you think you know the collective weaknesses of your northern neighbors, you change the game on me. Drats! Who’d have thunk that Mcdonald’s could be the bait for anyone? Back to the drawing board. You’re safe for now, noir boy! It is Chromo Print and to learn more about them you can search out an older thread titled ''Chromo Print''. I will update the titles they produced shortly. Damn. I noticed others were receiving their posters from the HA major and started worrying that mine hadn't shown up yet.